Our patients cannot "tell us where it hurts" so often we have to rely on veterinary diagnostics to find a solution to a problem. 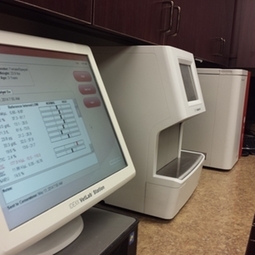 Here at Animal Hospital of Frisco we utilize state of the art laboratory equipment, microscopy, x-rays, and outside resources to find the cause of many pet illnesses. In the event we feel your pet condition warrants a veterinary specialist, we will offer a refferral to a trusted medical colleague.